In addition to the Official Fan Forum Rules and Guidelines that you should be aware of, we have included some additional rules for our board. SPOILERS Please read ’s general spoilers guidelines if discussing a current project for one of the actors. STARTING NEW THREADS/POSTING HEW THREADS Before you start a thread make sure to check if it exists already and if the couple or character has significant interaction or screentime to avoid threads that won’t have much traffic. Also make sure to create an appropriate OP with arts, pictures, quotes, etc. IMPORTANT: whenever you start a new thread, this goes for all the threads started when one is closed, don’t forget to post the link on this thread so that the moderators can update the OP. QUOTING PICTURES/HOTLINKING/PICTURE WIDTH Please, do not quote any images. This is in the general FF rules as it makes the pages difficult to load. Do not hotlink images. Use Photobucket, Imageschak, etc to upload the images and credit them if they aren’t yours. Don’t post pictures any wider than 800 pixels. If they are wider than that post links to larger versions, HQ, or thumbnails of those pictures. 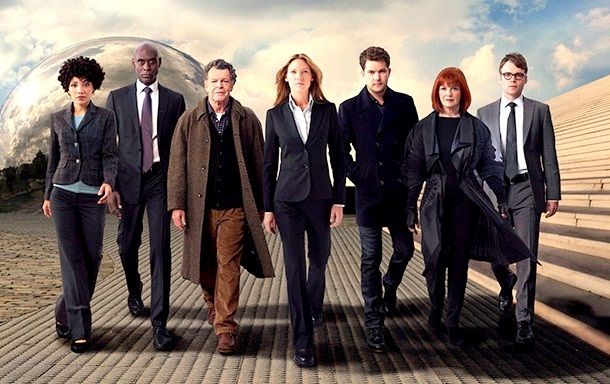 Fringe Awareness - Help Save Fringe! Fringe This or That Picture? Fringe Events - Celebrating our 8th Anniversary on FanForum! 2.16 - Olivia. In the Lab. With the Revolver. 3.04 - Do Shapeshifters Dream of Electric Sheep? Olivia/Peter/Walter #10 - Because they're more than a team, they're family. Peter ღ Olivia Appreciation Thread #55: "Because they were adorable as kids"
Lance Reddick/Phillip Broyles #8: Because Broyles smiled sometimes. Anna Torv/Olivia Dunham #37: Because she won a Logie award for most outstanding actress. Peter ღ Olivia Appreciation Thread #56: "Because they are the most unconventional couple ever"
Peter Bishop / Joshua Jackson #52: Because Joshua Jackson will always be our favorite. Anna Torv/Olivia Dunham #38: Because she gives amazing lead performances.